What a year it has been! Our 40th anniversary year-long celebration is still going strong and we'll be ending the year with some truly incredible events. Over the course of the year, we saw J. C. Raulston get some of the attention he so richly deserves, starting with a blockbuster exhibit on campus at the D. H. Hill Library which will remain up through at least the end of the year, and finishing with his induction into the Raleigh Hall of Fame on October 3. I find it especially fitting that his induction will fall just a couple of days after our Friends of the Arboretum plant giveaway—certainly one of the JCRA's signature events. Looking back at our history has been fun and enlightening, but it has also given us an opportunity to look forward. For our 40th anniversary symposium, we'll be bringing in the new vanguard of horticultural heroes to talk about the future of the green industry, from cutting-edge plant breeding to sustainable landscaping and everywhere in-between. This is definitely a group that you don't want to miss. Just as exciting will be our Moonlight in the Garden event during the first two weekends in November. 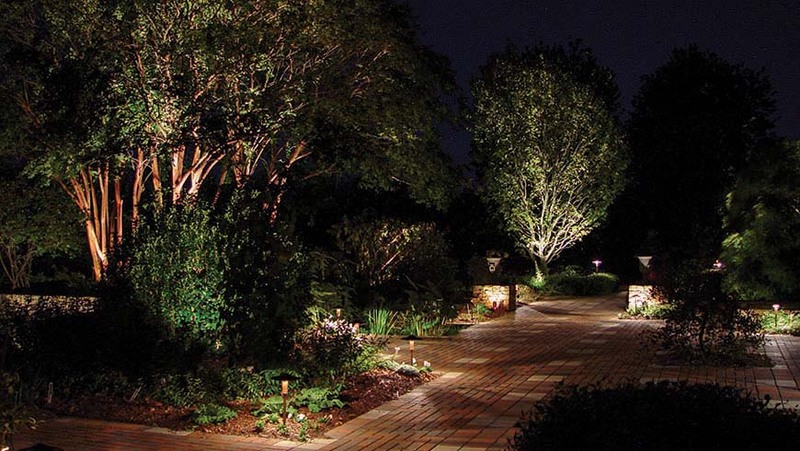 We've teamed up with John Garner, owner of Southern Lights of Raleigh, to put on a really breathtaking display. Make sure you come out for a truly remarkable experience and see the Arboretum in a different light. If you haven't been out for a while—I know some members try to stick close to the AC during the dog days of summer—make sure to come out this fall. Tim, Lizzi, Justin, and the interns have been hard at work. Between them and our army of dedicated volunteers, the gardens are looking exceptional. At a field day this summer, I was overwhelmed with industry insiders who raved about the state of the garden and all the exciting new plants they were seeing on the grounds. Come out, enjoy a peaceful day in the garden yourself. If you haven't been out in a while, you may be surprised. The JC Raulston Arboretum is proud to recognize our sponsors. Our corporate and individual partners sustain and grow our programs each year. Bill and Libby Wilder, Jr.
My, how times have changed! In the last 12 months, the JCRA has brought in over 900 new plants, although admittedly we've killed more than a few of these before ... but hope springs eternal. Among the newer plants we've collected, there is a lot to be excited about. Some are already in the garden while others will take some time in the nursery to mature a bit. Here is just a teaser of the 640 different types of plants we got in the ground during the last year alone. Come out and visit to see the rest. Rhododendron 'Wine & Roses' is a very cool rhody bred by Ken Cox of Glendoick Gardens in Scotland. The unique feature is that the undersides of the leaves are deep red-purple. It also will have masses of bright pink flowers once it gains a bit more size. It should be a relatively compact plant, maybe growing to 5' tall and wide, but our southern heat may spur it on to overachieve in the size range. The foliage color comes from a decidedly tender parent called 'Rosevallon' so we aren't sure of its hardiness, but it has made it through one winter in the Lath House. 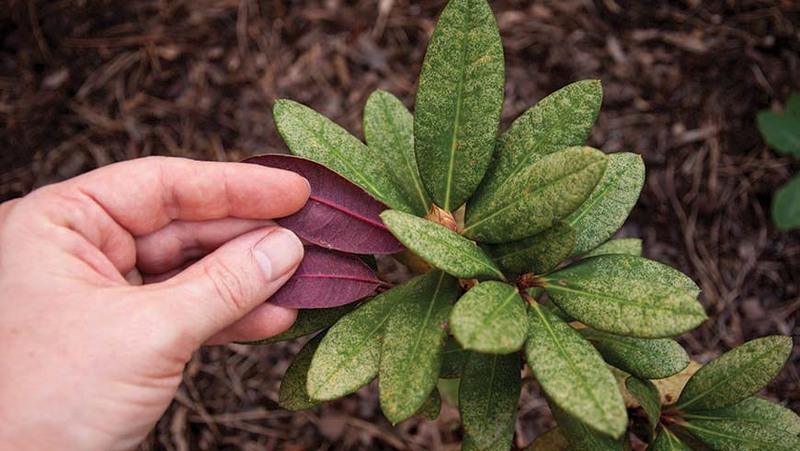 Rhododendron from cool Scottish gardens are often quite root-rot susceptible when moved to the South. Once we (hopefully) get it well-established, we'll have to try it in some less-than-ideal locations to test its true measure. Camellia sasanqua 'Golden Phoenix' is among my favorites in a group of plants I am especially fond of growing—the variegated camellias. Of the 100+ camellias in our current collection, about a fifth of them are variegated and we are actively growing this collection. One of the true treats of the southern garden is the ability to have flowers in the garden 365 days a year, achieved in large measure due to plants like camellias. But … the otherwise lovely dark green foliage of mature camellias seem to absorb every bit of light in a shade garden and can become dark holes in the landscape when not in bloom. Enter the variegated camellias. 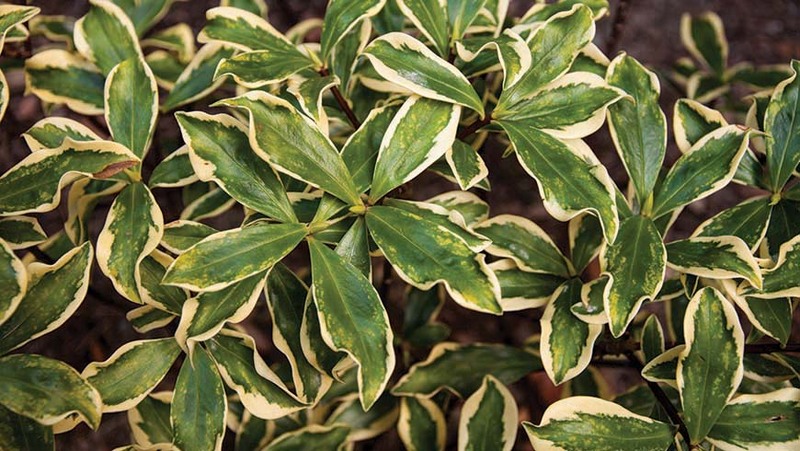 This selection in particular is quite bright with a broad, creamy yellow margin around each leaf which will light up even the shadiest corner. The fall flowers are single, white blossoms darkening to pink at the edge with a cheerful mass of gold stamens. Look for it in Asian Valley under the canopy of mature trees. Helwingia omeiensis is a new species (to us) of a somewhat obscure genus which we wish was better known. 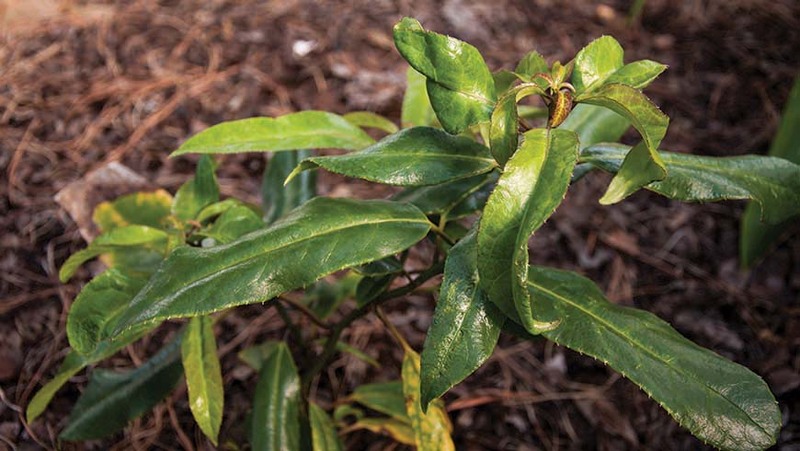 Back in the early 1990s, J. C. scattered around a couple of evergreen Helwingia to plant lovers in various parts of the country with the dubious monikers H. chinensis (narrowleaf form) and (broadleaf form). The first is likely correct (as H. chinensis var. chinensis) but the second remains a bit of a mystery. It could perhaps be the other variety, H. chinensis var. crenata or it may be the other evergreen Chinese species, H. omeiensis. We no longer have J. C.'s broadleaf form for comparison. (If someone still has this plant, please send me a photo of the foliage!) We found this plant growing in the Emeishan Botanic Garden labeled as H. himalaica, a deciduous species. The foliage is quite long and glossy and held on pale green, smooth stems. Like all helwingias, the flower stalk (pedicel) is fused with the leaf stalk (petiole) which means the flowers and subsequent fruit appear to arise directly from the center of the leaf. An oddity in flower and quite bizarre in fruit. We're uncertain as to hardiness since the plants grow at fairly low elevations, but we look forward to seeing how they perform. Two plants are currently on the grounds in the Mixed Border and Lath House. With any luck, we will have both a male and female since this is a dioecious species and both sexes are needed to produce the fruit. "I plan to travel the west coast from San Diego to Vancouver observing the many excellent botanical gardens and arboretums of that region.… From these visits, I hope to bring back over 500 new species for the NCSU Arboretum—already I'm excited about all the new plants I've found that are not grown in the East and yet are adapted there." Daphne odora 'Ripple' (header photograph) is another variation on one of my all-time favorite plants, winter daphne. It makes an even mound of deep green leaves edged with creamy white, much like the more commonly found variegated forms. As the name implies, though, every leaf is quite rippled along the edges, giving a much different texture to the plant as a whole. I think in a shady spot, this attractive plant really shines as it reflects light around the garden. In late winter, rosy buds open to pinky-white flowers which fill the garden with the unmistakable and irresistible fragrance that makes this species so beloved. 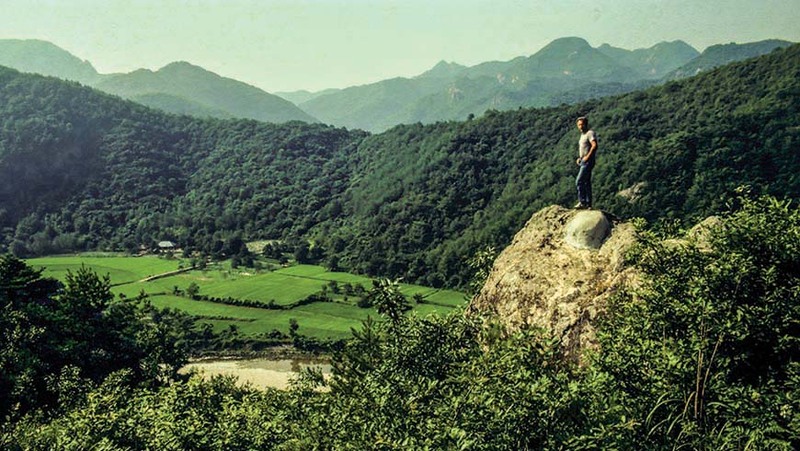 In Korea, the common name translates to “1,000 mile fragrance." Winter daphne has a not undeserved reputation for being a bit miffy, as my British gardening friends like to say. I always give it credit for being decisive—a daphne is usually either thriving or dead with little dithering about between the two extremes. For best results and longest-lived plants, grow them in sun or shade and very well-drained soil. I often plant them right at the base of trees where there is serious competition for water. Pinus cembra 'Algonquin Pillar' is one of several upright pines we've planted as a screen in our new conifer beds in the southeast corner of the Arboretum. This upright, narrow form of Swiss stone pine will likely grow to about 20' over the next 10 or so years and be less than half as wide. The species is a very tough plant, thriving in the extreme north but also performing rather well down south. The stiff needles on this selection are somewhat twisted and with the vertical branching serves to show off the pale undersides quite well for a bluish-green, two-toned effect. The Raleigh Hall of Fame honors those very special people whose contributions made a significant and lasting impact on the City of Raleigh. In 2016, this honor is being bestowed on J. C. Raulston, who will be formally inducted into the Raleigh Hall of Fame in the fall. He was graciously nominated by Rodney Swink, the chair of the JCRA Board of Advisors. Today, the arboretum J. C. founded at NC State University celebrates its 40th anniversary and is a vital part of the Raleigh community. The garden is free and open to the public, and visitors come from all areas of the state and beyond to tour the grounds or attend one of the many educational classes being offered to all ages. As a trailblazer, leader, and always a teacher, J. C. helped to distinguish Raleigh everywhere he went throughout the world. He encouraged his students, colleagues, and friends to “Plan—and Plant for a Better World," and that legacy can be found throughout the city. When he died in 1996, he remembered the City of Raleigh in his will, specifying funds from his estate for the city's park system to plant flowering trees for the next twenty years. The induction ceremony will take place on Monday, October 3, 2016, at the Raleigh Convention Center. Details and reservation information are available at http://www.raleighhalloffame.org/about-us/f-a-q. 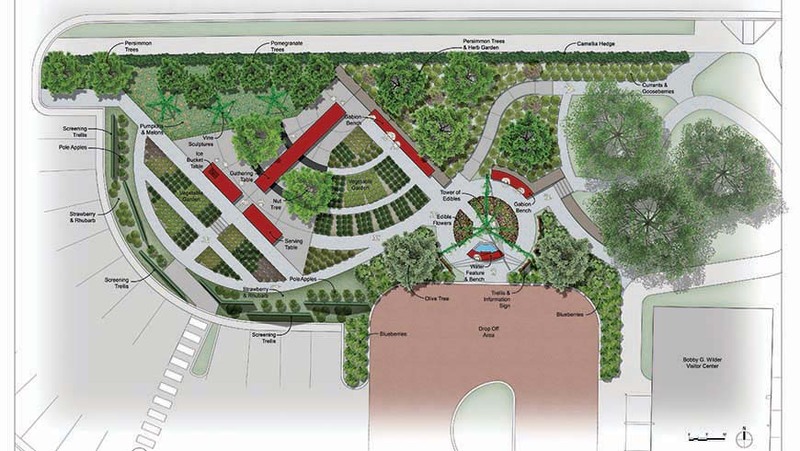 "Horticultural Bright Lights: The Future of Gardening"
Research garden. Living laboratory. Outdoor classroom. The JC Raulston Arboretum at NC State University is more than a beautiful public garden. If you've visited the gardens recently and ventured out to the Color Trials, you probably noticed the Buzz structures like the one in the photograph above. And, on any given day, in addition to a group of students identifying plants, you may see folks with butterfly nets, a field glass, and collection containers calmly moving about the beds with a very discriminating eye for the insects flying about. “Sadly far too few of our NCSU horticulture students have ever gardened or had any actual experience of involvement with plants in an active manner." Diversity of this garden goes well beyond our plant collection. If you think about it, the diversity of the plant collection brings the same in the insects it attracts and the people interested in our six-legged friends. The reach of the Arboretum's use as a research garden extends well beyond the collection of over 6,000 different plant taxa. If we plant it, they will come. 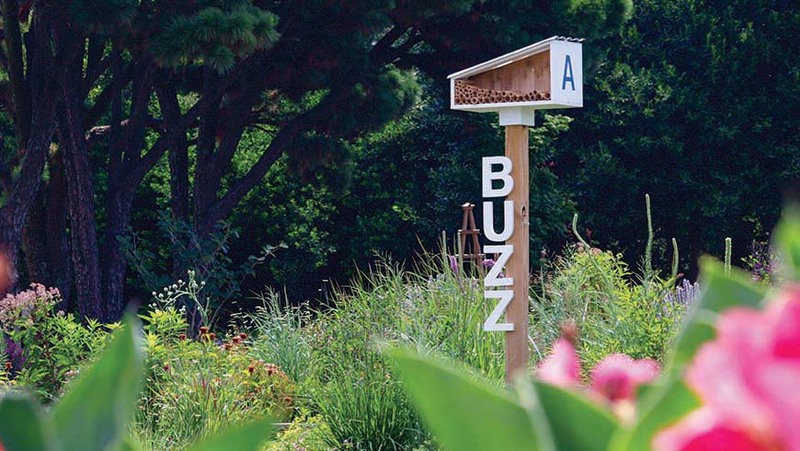 The Buzz project's diversity of human participants will be as vast as the pollinators it attracts, from the students designing and installing it to those passersby just visiting the garden for the day. This project will give university students needed real-world garden design and installation experience (a need as real as when J. C. noted it in 1983) and will involve everyday garden visitors serving as citizen scientists for a project that explores and documents both human and pollinator plant preferences. If we like it, we will plant it, they will come. NC State's Department of Applied Ecology is using this living laboratory to collect individual paper wasps and a few ants to study the interactions of yeast and wasps. They're respectful of the garden using a butterfly net and forceps, looking for wasps feeding on flowers and fruit. Look up and you may see traps in trees put into place by the Department of Entomology. 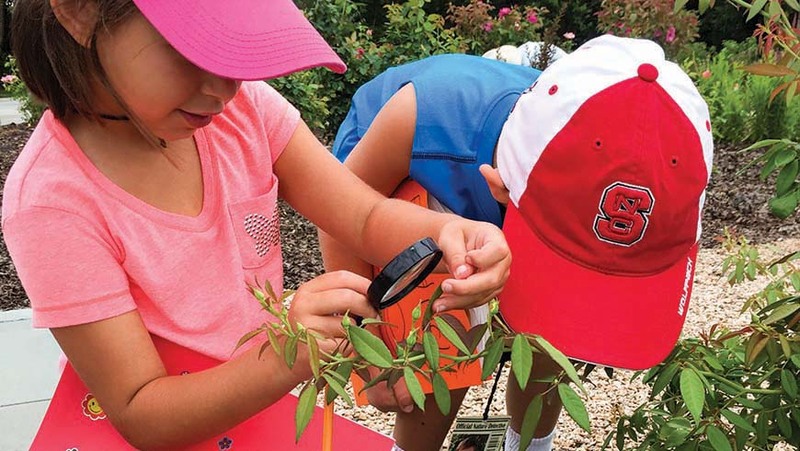 Public schools, home schools, and Girl Scouts, among other youth organizations, use the outdoor classroom to demonstrate the importance of biodiversity as they tour the gardens, learning all aspects vital to garden health. If we plant it, they will learn. Educators and parents alike continue to be concerned with how little time we spend outdoors. As urbanization continues its march forward, the need for accessible green spaces increases. 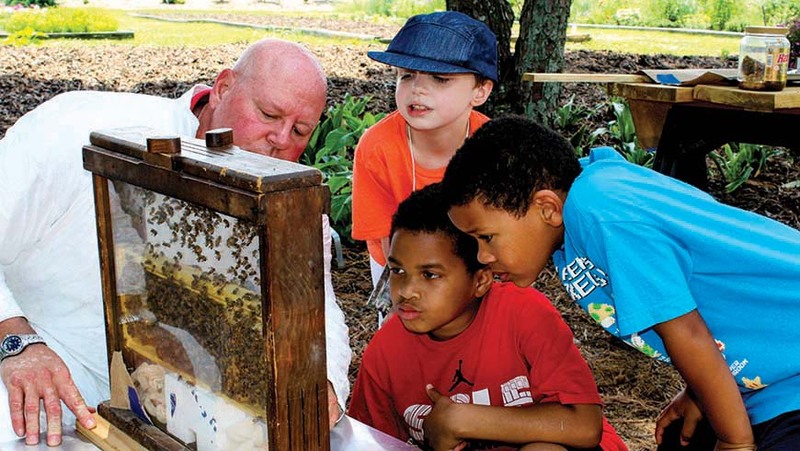 We take great pride in the many ways the gardens provide hands-on education to all the many groups who are using it. This research garden, living laboratory, outdoor classroom exists because of the commitment from our members, donors, sponsors, and volunteers. I'm confident we remain on the path J. C. Raulston cleared some forty years ago. 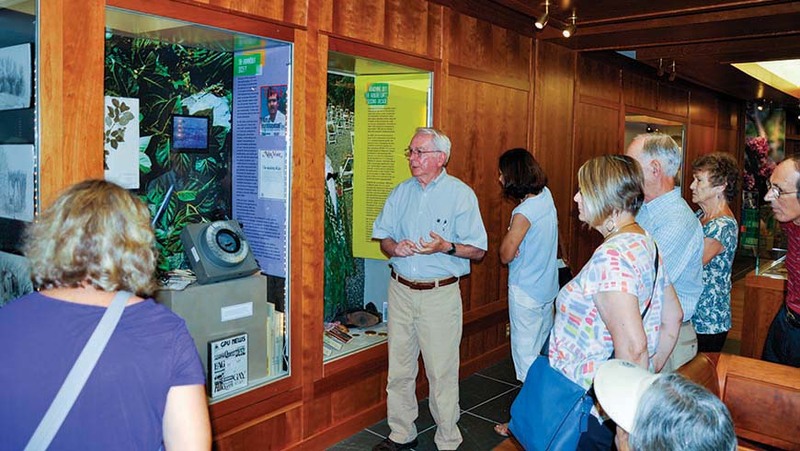 “Plan—and Plant for a Better World" J. C. Raulston and the North Carolina State University Arboretum is a free exhibit hosted by the NCSU Libraries, celebrating the life and work of J. C. Raulston and his legacy, the JC Raulston Arboretum. For the first time, this exhibit offers the opportunity to visit the past and experience the fascinating story of J. C. Raulston's life, through a visual treasure trove of travel notebooks, lecture notes, images, and other items from his early life through his untimely death in 1996. The exhibit was created by the very talented exhibits program librarian at NC State University, Molly Renda, who did a brilliant job of getting to know J. C. posthumously to tell his story. The events are inspirational and honor J. C.'s tremendous leadership and passion for creating a better world, and his contributions to the university, nursery industry, landscape designers, and to gardeners worldwide. 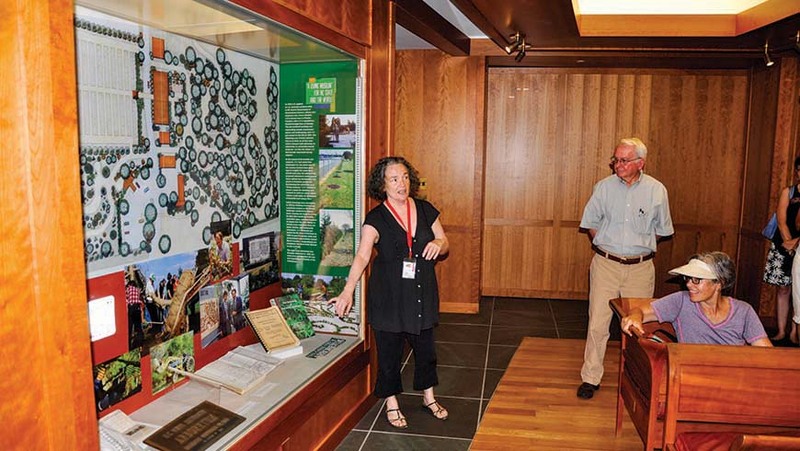 The exhibit's opening was held at the Friends of the Library Spring Meeting on March 18, 2016, which featured an opening lecture by Richard Olsen, Ph.D., director of the U.S. National Arboretum and a student of J. C. Raulston. Watch his lecture online at https://www.youtube.com/jcraulstonarb/. Don't miss out on this very special JC Raulston Arboretum 40th anniversary event. What's a better legacy than a garden? Admission Information: The exhibit is free and open to the public during normal library hours. For hours, please visit http://www.lib.ncsu.edu/hours/hill/general/. A beautiful, full-color, illustrated catalogue is available for $20.00 at the library. Reading back through the early Friends of the Arboretum newsletters, I noticed that J. C. didn't mention children in the Arboretum very much. There are his occasional musings on children in other public gardens that he observed as he traveled the world. 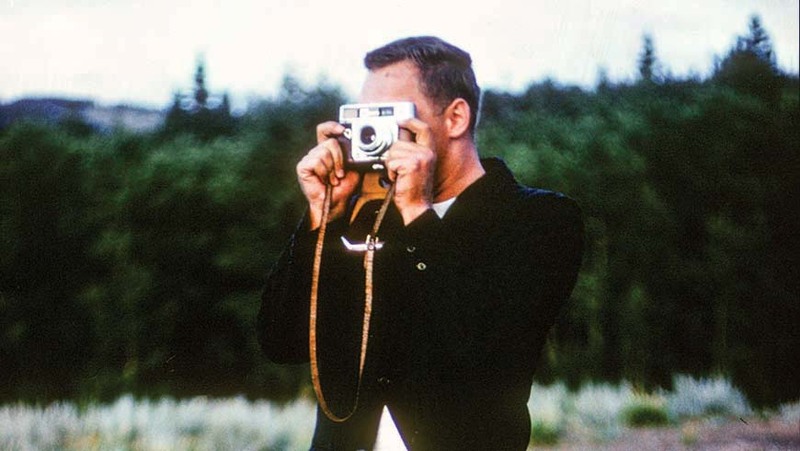 Most were about sightings of school groups touring gardens J. C. was photographing or gardens that he felt were more an amusement park than a garden or mention of an inquisitive child that wasn't shy about gawking at his computer. But, what you do hear in J. C.'s writings is the impact of his childhood memories on his later life, stories of climbing trees or growing up surrounded by wheat fields that helped shape the plantsman that he became. One of his favorite childhood books was The Secret Garden by Frances Hodgson Burnett. He ended his description of the book with the realization that many others in the horticultural world had read the book as well and said, “I've decided that exposure to this book in childhood 'hooks' children on horticulture, and that we should ensure that the book is everywhere for all kids as a propaganda, brainwashing device to warp their lives to horticulture!" (Friends of the Arboretum Newsletter, December 1982). While we haven't started handing out copies of The Secret Garden to all the children who visit, we are striving to create experiences at the Arboretum that make an impact on children's memories. Our programs have grown from school tours in the late 1980s to school tours plus storytimes in the garden, Scout and youth programs, family festivals, and week-long summer camps that allow campers to spend their days among the plants counting insects, creating artwork inspired by the garden, cooking with freshly grown vegetables and herbs, and learning about how to be gardeners. Their experience is so special—learning in the new education yurt, discovering plants from around the world, meeting volunteers who have passion and knowledge to share, and being in a garden that welcomes their curiosity and exploration. You won't see a water park or a jungle gym in any upcoming master plan, but the Arboretum is making memories with the next generation of gardeners. The Arboretum is a genuine garden experience that gives each visitor, young and old alike, an authentic and sincere invitation to fall in love with our plants, the natural world, and the people who lovingly tend these gardens. Maybe we'll grab a few copies of The Secret Garden to pass out to the kids as well! In this issue of the JCRA newsletter, some of us challenged ourselves with choosing a quote from J. C.'s past newsletters as the inspiration for our articles. Easier said than done.… J. C.'s newsletters are overflowing with thought-provoking comments, self-deprecating humor, and joy for plant and human life. “Visit often and enjoy—more later." This quote relates to the spirit in which the Arboretum was created: J. C. established the Arboretum to be experienced by all and to awaken our senses—often. Today, his intent has flourished and has become our mission. Each year, we see an increasing number of programs and visitors. J. C. also wrote, “The biggest challenge facing all of us at the arboretum is our success—services provided result in more requests for increased service. Almost monthly we have more visitors with more questions and needs, more phone calls, more letters, more nurserymen requests for plants; we're publishing more, attending more meetings, doing more formal research and accomplishing more" (Friends of the Arboretum Newsletter, August 1992). Today, our biggest challenge still continues to be our success. The Endowment for Excellence provides some of the funds for JCRA's operating, but has yet to sustain our momentum. New garden installations and new public outreach events are the next phase of growth in serving the needs of our community. The next project in the gardens is the creation of the Edible Garden—a foodscape space designed to challenge our conventional ideas of vegetable gardens. Whoever decided we had to isolate our fruit and vegetables from the rest of the garden? This cutting edge garden will show off the versatility and beauty of growing vegetables on 30' poles, vertical structures, and tight spaces. With North Carolina projected to become an urban state in the next five years, this revolutionary space will become a major focal point in North Carolina. I invite you to consider supporting its installation through donations. For naming opportunities and ways to support this project, please contact Sonia Murphy at (919) 513-0637 or sonia_murphy@ncsu.edu. J. C. Raulston wrote the first newsletter in January 1981. All newsletters are available online. In the May 1982 newsletter, J. C. Raulston wrote that members commented there were too few lectures and that they were too far away. We now host three lecture series. And, since they're available on YouTube, no one lives too far away. The Ruby C. McSwain Education Center and the Bobby G. Wilder Visitor Center opened in August 2002. Both buildings feature geothermal heating and cooling and other green features. Nearly 35,000 plantings have been on display at the JCRA through the years. Over 10,000 plantings are currently on display and over 2,000 plants are in the nursery. The leaf imprints in the McSwain Center's concrete walls were created with artificial Japanese maple leaves since the walls were poured in the winter. 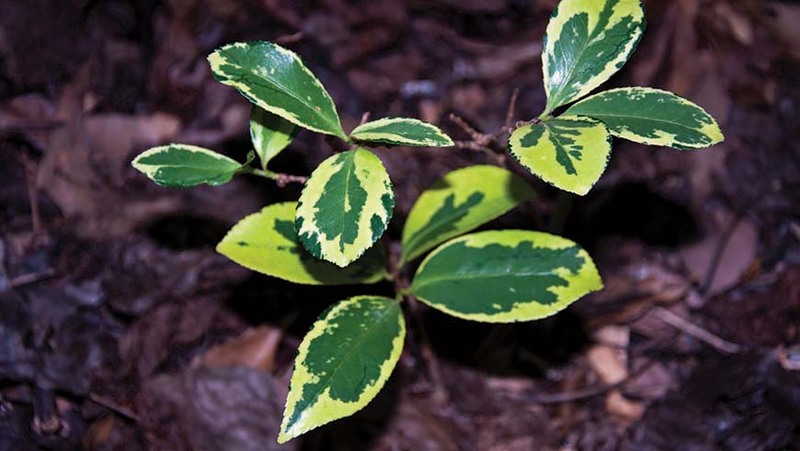 We've distributed over 5,000 taxa/130,000 plants over the years. The McSwain Center is topped with NC State's first green roof. We have photographs of over 13,000 taxa in our photograph collection. Volunteers and staff have engraved nearly 10,000 plant labels since 2000. We've killed more than our fair share of plants, too. J. C. liked to say “If you aren't killing plants, you aren't really stretching yourself as a gardener." Quercus robur f. fastigiata (columnar English oak) was the first plant JC planted at the NCSU Arboretum. The NCSU Arboretum welcomed its first online visitors in 1995. Our Web site is now visited by over 170,000 people every year. The JCRA's photograph collection has over 262,000 images. The McSwain Center's reception desk features wood from over 20 taxa. Nearly 16,000 taxa (types of plants) have been planted at the JCRA. Over 6,000 taxa are on display today. Over 1,800 taxa are in the nursery. The New York Times listed the JCRA as one of the top places to visit in Raleigh. The 1996 Annual Plant Distribution was held a day after Hurricane Fran. -8°F is the lowest temperature experienced at the JCRA (January 21, 1985). Berry O'Kelly, Method resident and prominent civic leader, once owned the land the JCRA now sits on. Berry ran a general store and post office that served the Method community and founded the Berry O'Kelly Training School, a rural school that eventually became the largest high school in the state for African-Americans in 1931. The Necessary was constructed as a class project for a home and garden show. 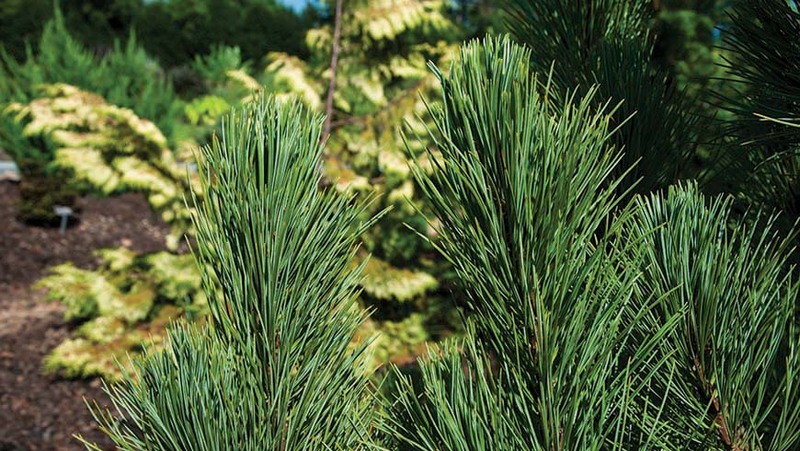 The signature dwarf loblolly pines originated from a forestry project in the 1960s. Some of the stepping stones in the Geophyte Border are from Elizabeth Lawrence's Raleigh garden. The JCRA has now existed as long without J. C. Raulston at the helm as it did with him. The Paradise Garden was created by Department of Horticultural Science students. The JCRA originally had five Japanese crepe myrtles (Lagerstroemia fauriei) from the U.S. National Arboretum. Only three remain. The others are in the Park Road Park in Charlotte and at the Atlanta Botanical Garden. The Color Trials have been an All-America Selections trial site since 1990, but originated a display garden in the 1970s. The underside of the cupola in the Klein-Pringle White Garden was chosen by a volunteer whose collegiate allegiance was with UNC-CH. 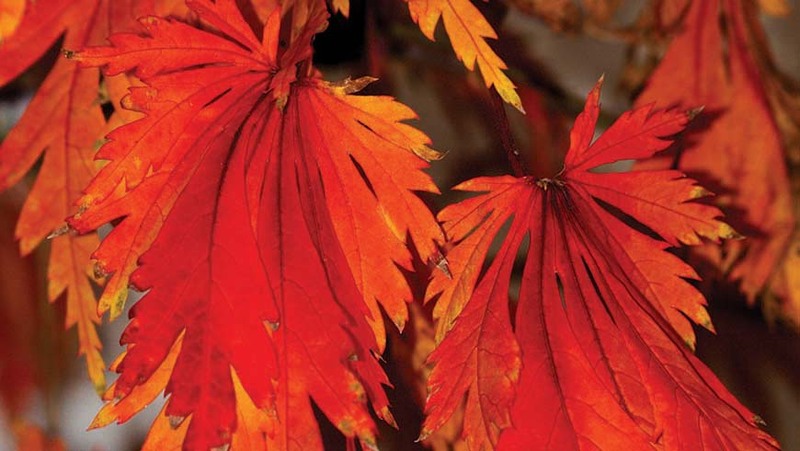 Visitors can spot a Japanese maple from anywhere in the garden—a continuation of something J. C. started. The Lath House was designed by Frank Harmon and has won four awards. It takes five to ten minutes to give away thousands of plants at the Annual Plant Distribution. Of the 68 original member households, 14 are still active. Volunteers have recorded 155,000 hours since 1997. The Arboretum is part of the Department of Horticultural Science and is used as a living laboratory by horticulture, botany, forestry, entomology, landscape design, chemistry, applied ecology, and agricultural engineering students. The JCRA sends one or two former interns to the Chelsea Flower Show every year. The NCSU Arboretum was formally dedicated on September 27, 1980. The first Gala was in 1993. And, some things never change, the Arboretum is free and open to the public every day, including holidays. From the December 1984 Friends of the Arboretum Newsletter, J. C. Raulston writes about his often late newsletters: “… the latest frustration has been a computer memory typewriter which has the entire issue stored and refuses to regurgitate it—for two weeks it sits and shreds printing keys and spits them out at Judy to the total puzzlement of the repairman who can't seem to correct the problem. Enough." Can you imagine J. C. Raulston on social media? 40 years ago, most of us could not have imagined all the ways social media and smart phones would change the way people share information. Now, any day in the garden, you find people taking photos as part of their experience. Gardeners look up plants, insects, diseases on the Web. 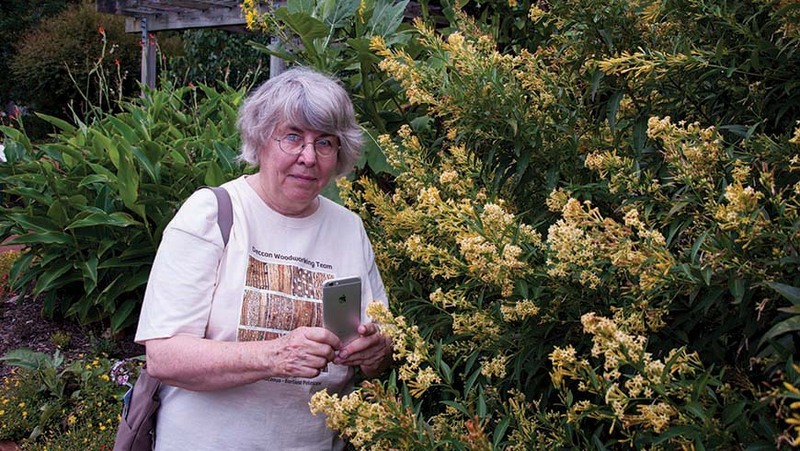 People visiting the garden from around the world may have learned about the JCRA from a photograph shared on Instagram or Facebook, or a video viewed on YouTube. As younger generations depend less on traditional communication channels, it's more important than ever for us to spread our message and mission, and that's where you come in. You may know that you can support the JC Raulston Arboretum by becoming a member, volunteering, or making a donation. But did you ever think about how you can stay informed and give support with just a few clicks on a computer, tablet, or smartphone? Like JC Raulston Arboretum on Facebook. Don't miss any JCRA Facebook posts by choosing to see our posts first in your news feed (you can select this). Once you click “Like," look for the gray drop down arrow next to the word “Like." Choose "See First." Like and comment on our Facebook posts. We want to hear from you! Share interesting JCRA posts with your Facebook friends. The beautiful images may encourage them to visit. Take photographs while you're visiting the garden. Use the hashtag #jcra or #jcraulstonarboretum when you share them on social media (Instagram/Twitter/Facebook/Pinterest, etc.). When posting while you are physically in the Arboretum, you can use the “check in" option on Facebook or Instagram. This lets you select JCRA as the location of your photo or post. Want to volunteer in a more official capacity? Or want some help with your social media settings? Contact Kathryn Wall at (919) 513-7004 or kathryn_wall@ncsu.edu. Bring your family and friends to explore the magic of a nighttime garden. We're adding a few food trucks and live entertainment to the fireflies and moonlight, everything you need to enjoy a beautiful November evening in the garden.